Kind of diminishes the name "Super Cruise." This was not a problem Cadillac’s engineers figured they would ever encounter. And yet, it’s an issue that has yet to be resolved. According to Automotive News, Cadillac’s Super Cruise hands-free driving system is facing problems when exposed to direct sunlight. More specifically, the system disengages. It’s not a new problem and has been persistent since the system was launched on the 2018 Cadillac CT6 sedan. Basically, sunlight is blinding the infrared camera positioned on top of the steering wheel column. That camera monitors driver’s attentiveness and is an essential system component. Just like it does to human drivers, the sun is blinding the system. GM has confirmed "significant changes” are coming that will fix the hardware, but the automaker isn’t the only one experiencing this problem with self-driving systems. The problem is actually one of several that many automakers are currently working to resolve. Remember, self-driving technology is still very new and it’s impossible to get everything right the first time. Safety, of course, is the number one issue but this sunlight issue is not seen as dangerous. It’s more annoying than anything else. Unfortunately, a fix isn’t so easy. Engineers will need to either relocate the camera to a location without direct sunlight or make some sort of filter against light. Super Cruise can only be used in single-lane highway driving and only on highways that have been lidar-mapped. There’s still no word yet on when exactly GM will reveal the updated Super Cruise hardware, but it is expected fairly soon. It’s also worth wondering whether it’ll be possible for GM to provide a fix for the existing systems. 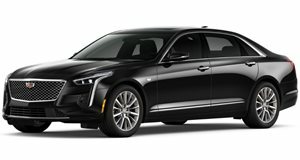 Again, a hardware update is anything but simple but would it be right for this first batch of Cadillac CT6 owners to experience problems with Super Cruise forever?